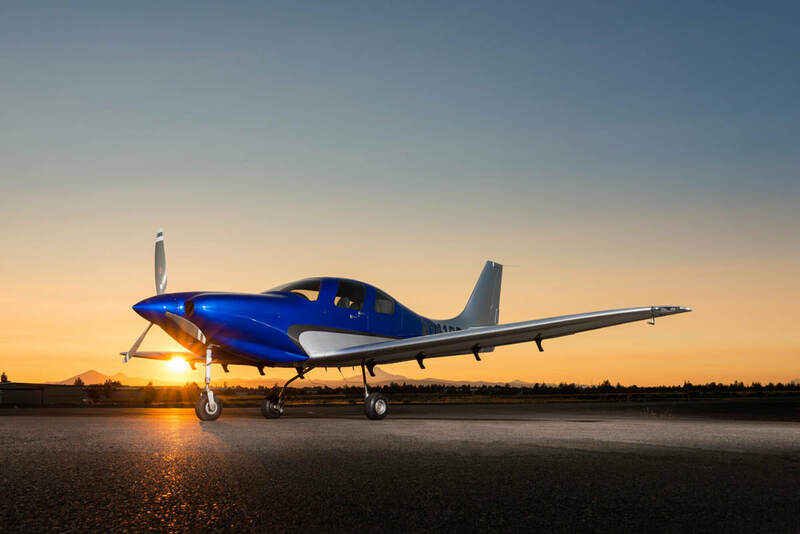 Want to make it better than a Cirrus or a Cessna TTx? Meet the team at RDD creating the LX7. Just make sure you are sitting down as you are about to be blown away. RDD (Research. Design. Development) is a professional building company for the Lancair line of experimental aircraft (Lancair unveiled the Mako at Osh Kosh this summer, which performs slightly less than the advertised values of the LX7, but is available as a new kit). For those unfamiliar with the experimental world, when an experimental kit is bought, the owner/builder can build the entire aircraft himself, partially build it then send it to a completion center, or have a professional build company put it together. This last option is what RDD did with Lancair aircraft before Lancair moved from Oregon to Uvalde, TX. Once Lancair was sold, RDD started thinking on how to make the IV-P better. Boy, did they. What resulted is the LX7. The LX7 is a retractable gear, single engine piston, pressurized aircraft that sits 4. See it on the ramp and it looks like a Lancair or a Columbia. Sit in the cockpit and you’ll know something is different. Starting with the power plant, RDD put a Continental TSIO 550-E engine in the IV-P airframe, giving the airplane 350 HP. They redesigned the wing to hold 180 gallons of usable fuel and a much better stalling envelope (anyone who has looked at a Lancair IV or IV-P wing knows that there isn’t much wiggle room with angle of attack on those airplanes), lowering the stall speed to 62 knots dirty. The cabin is roomier and the panel is beautiful. Equipped with 2 or 3 Garmin G3X Touch panels (the experimental equivalent of the G2000), plus a GTN 750 and a fully digital backup flight instrument from Grand Rapids, plus ESP technology built in to the autopilot, this plane seems like a pilot’s dream. I haven’t even gotten to the best part: the speed. Being pressurized, the LX7 has a 25,000 foot service ceiling where it can achieve cruise speeds of 260 knots at best power (24 GPH) and 250 knots at best economy (18 GPH). Yes, I did just say 250 knots at 18 GPH in a single engine piston. With 180 gallons of fuel. Make sure you bring a Travel John. Worried about an experimental? The airframe is equipped with a full BRS system similar to the Cirrus SR22, keeping everyone safe and sound. There is one flying LX7 currently and RDD is working on 3 more. The price tag for the full conversion is $550,000. The kicker is, the owner has to provide the Lancair IV-P airframe. There are currently 10 Lancair IV-Ps for sale on Controller, varying in price from $200,000-$400,000, bringing the total price of the project to $750,000-$950,000. Owners who already have a IV-P or a IV-P kit can send it on over to RDD to get started on their project.